We are on site with a new house in Brighton. Constant vigilance is required at every stage. 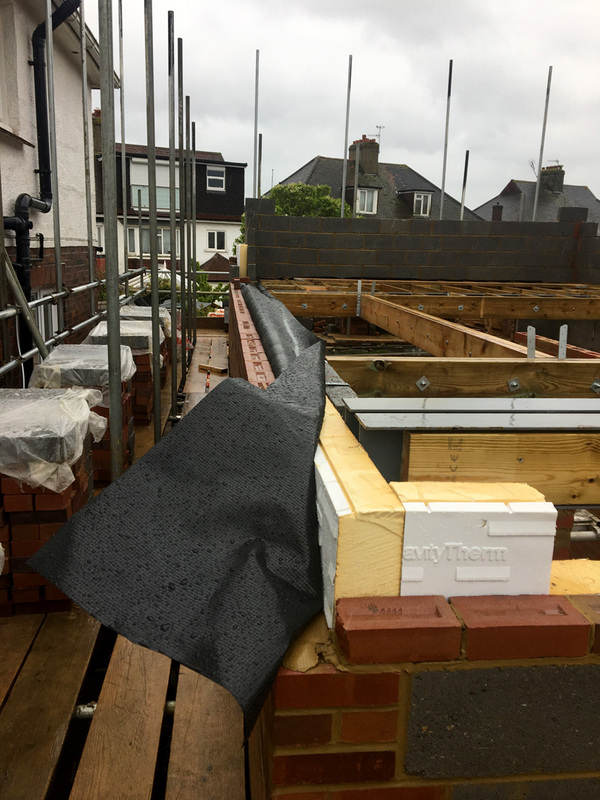 What looks like a neat well executed cavity tray is not infact in accordance with the specification or drawings and the first floor is having to be taken down and re-built.